Last night, OUSD took a step toward meaningful, long-term financial improvement. In a 7-0 vote, the Oakland school board passed a resolution naming that the district would adopt and implement the Smarter School Spending Framework, a financial framework endorsed by a nationally-recognized leader in public finance, the Government Finance Officers Association (GFOA). For the last two years, OUSD leaders and schools have faced ongoing financial instability. Budget freezes, followed by money taken out of school-site budgets, shook Oakland’s students, families, and educators. And while feelings of anger and distrust can naturally emerge as a result of these challenges, I have continued to be impressed by the solutions-oriented thinking that many of our educators – my former colleagues – have taken during this difficult time. Last night, OUSD principals, teachers, including GO’s Teacher Policy Fellows, and community members attended the school board meeting, asking that the school board adopt and implement national best practices in district-level budgeting. Before last night, Oakland Unified lacked a budgeting framework. The unanimous adoption of the Smarter School Spending Framework will help to ensure that we do not repeat the mistakes that have caused us to be on the brink of bankruptcy, and demonstrates the district’s commitment to improvement. In the coming months, the board will take up a series of policies aligned with the Smarter School Spending Framework. But simply passing policies isn’t enough: our school board and district leaders must demonstrate that they will take these policies and put them into practice. The principals, teachers, and community members who spoke at last night’s board meeting made it clear that they would be watching, ready to take action to ensure this framework’s successful implementation— and I hope you’ll join them. 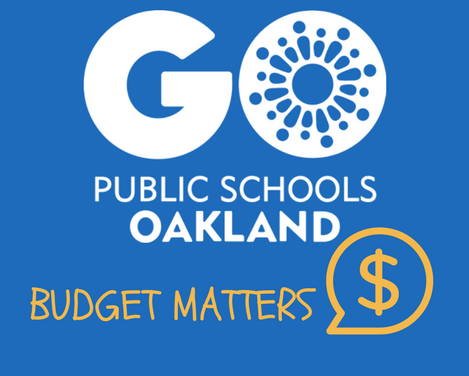 Stay informed about OUSD’s financial situation and upcoming opportunities for action by signing up for our budget newsletter.